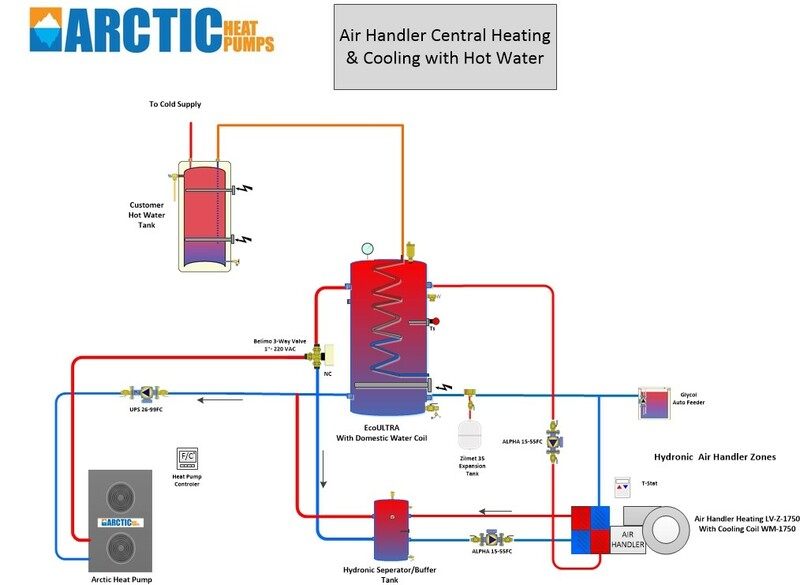 There are multiple benefits when using an air source heat pump to heat your home with radiant heat instead of a forced air furnace, which is exactly why we utilize an “air to water” system instead of a conventional “air to air” (mini-split) system like most of our competitors. The main benefit of heating water in leu of air is that the same volume of water is able to store 3400 times more energy than the equivalent volume of air. 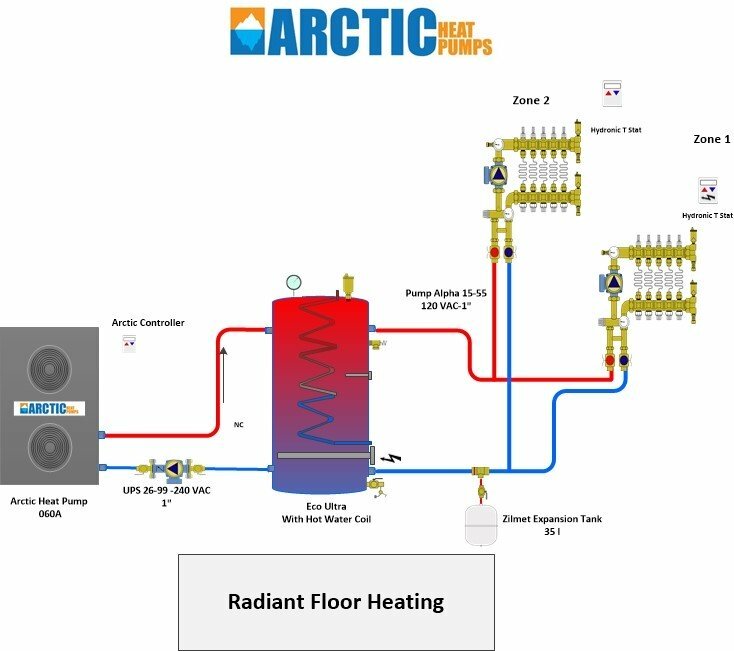 Water heating usually takes the form of radiant heating, which is a more economical (up to 30% more cost efficient), more comfortable (body is heated from ground up), healthier (no dust of mold spores), and is a more efficient method of heating compared to forced circulation. The ability to transfer and store the energy to a large buffer tank and use it as needed allows us to provide a much more manageable and flexible system. Moving energy via water can be done at a fraction of the cost versus moving energy via a large fan for air. A small hydronic pump can move the same amount of energy as a larger forced air fan but consumes only 15-40 watts of energy versus up to 800 watts or more with a fan system. These standard pre-engineered designs are examples of some of the most common air to water layouts. 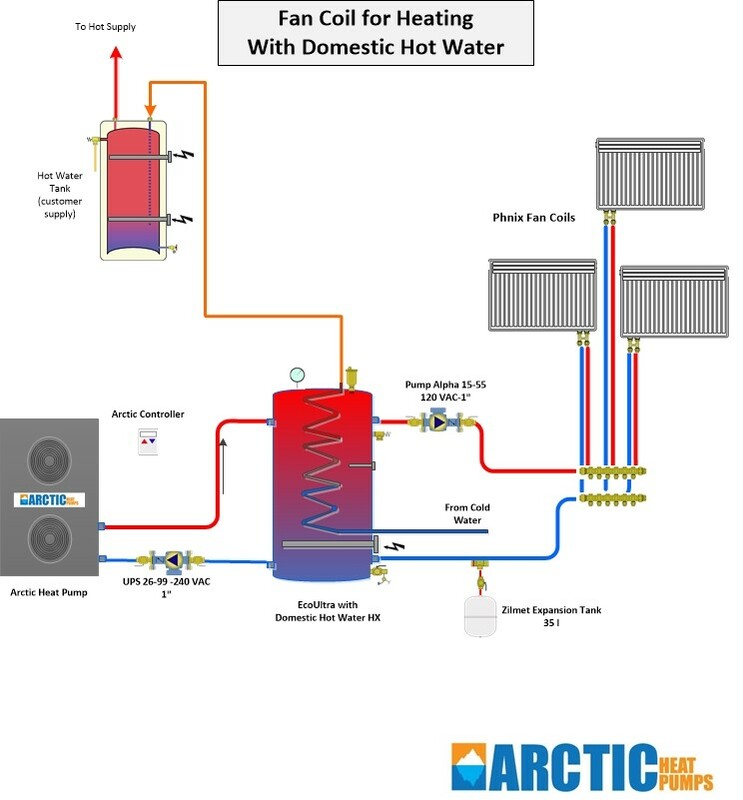 The optional internal domestic hot water heat exchanger provides add ROI by providing hot water at a savings of 60-80%. Custom designs are done FREE of CHARGE, so please contact us any time to review your plans. 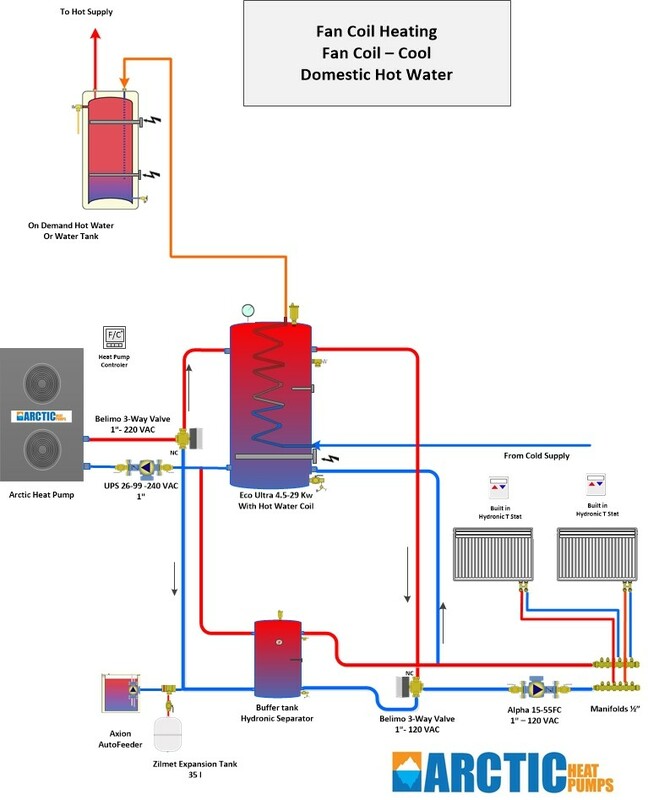 View many of our most common heat pump system design layouts. 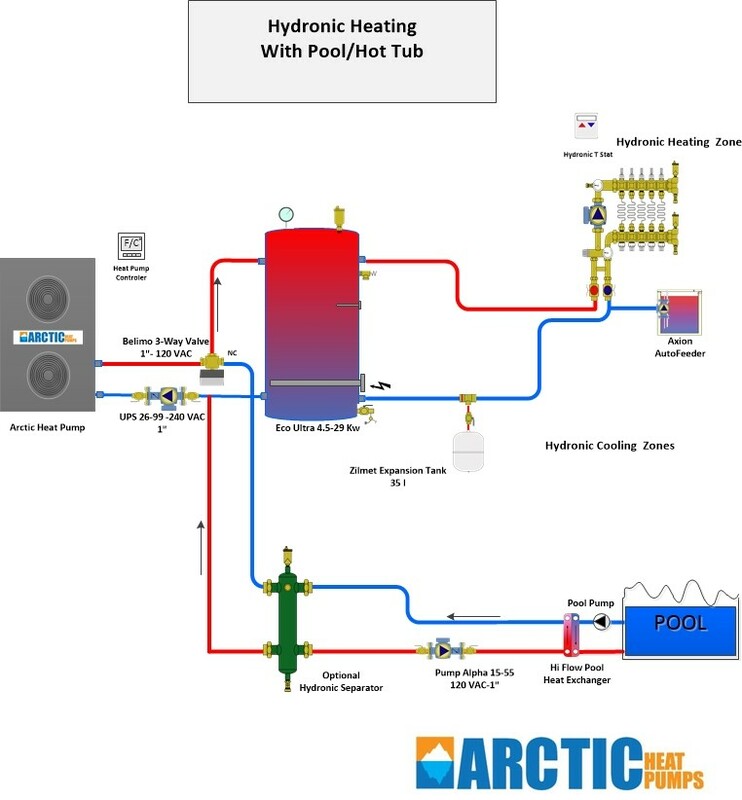 See how much money an Air Source Hydronic Heat Pump can save you. 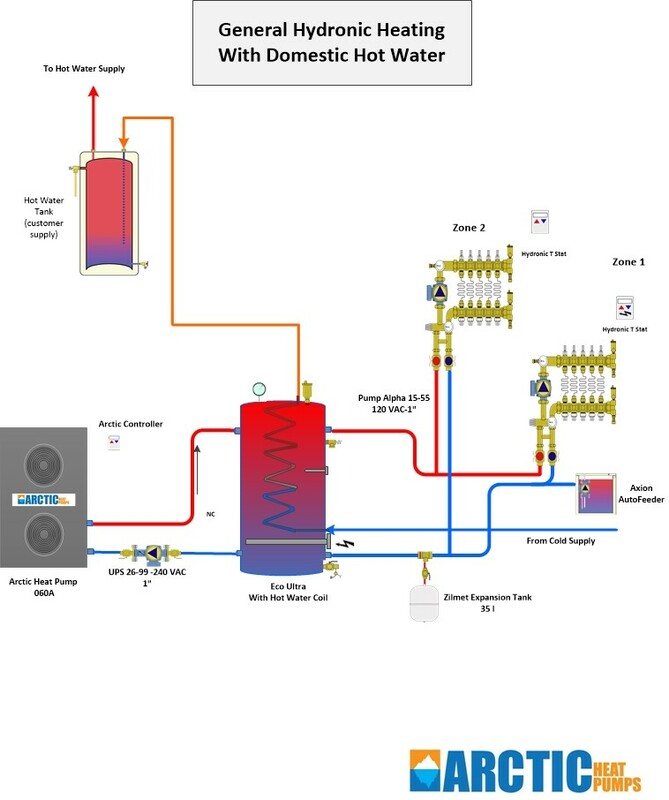 Pricing for Air to Water Heat Pumps.